FreedomPenguin: Allow me to let you in on a little secret – I have never used PuTTY or PuTTYGen. All of my key generation has always been done in the Linux command line. LinuxPitStop: Wetty provides terminal access within web browser. Despite being run entirely from AWS’ cloud platform the online streaming giant Netflix reports a quick recovery from Sunday’s disruption – demonstrating the importance of its approach of building cloud-based systems to “fail”. 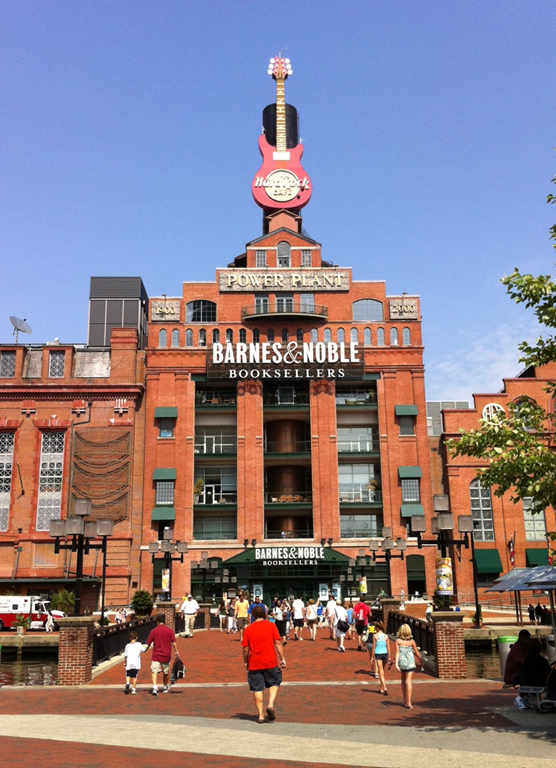 Just how much trouble is Barnes & Noble really in? It seems to be in a good deal of it. We haven’t covered it that much lately on TeleRead, but Nate mentioned on The Digital Reader in the last couple of weeks that its revenues and losses were down last quarter, and that while it claims it’s still “considering” closing stores, it actually is closing stores. The explanation is a bit overfull of financial jargon, but given that it’s used mainly in supporting his contentions, you can get the gist from context without worrying too much about it. If there’s some term you want to know more about, I suggest checking a financial encyclopedia like Investopedia for definitions. 12 Quarters thinks that the profitability of the B&N stores is still very good. B&N has closed some of its weaker stores, which has served to cut into revenue, but it’s also increased its cash flow, which is what really matters. And 12 Quarters notes that the number of all brick and mortar bookstores has actually increased over the last 5 years, suggesting that people aren’t through with paper books just yet. This bodes well for B&N’s future, as it’s basically the only major nationwide bookstore chain left. Amazon might be king of the hill digitally, but B&N still has the real-world catbird seat. The weaker part of the B&N business is the Nook division, which has been a money sink over the last few years. But B&N has been acting to rationalize that division—that is, reorganize it to increase efficiency and cut the money loss—with moves such as shifting Nook from a hardware to a software business and outsourcing it to third parties rather than try to make tablets itself. But 12 Quarters’s more interesting contention is still to come. Secondly, there is a growing body of evidence to suggest that there is no reason to be in the e-book business at all. For example, as mentioned previously, independent bookstores have been growing in recent years, and they don’t have digital platforms. Secondly, consumer research indicates that popularity of e-books peaked several years ago and has been trending down. People are simply over-screened, and they prefer a physical book during their leisure time. I think Mr. or Ms. Quarters is oversimplifying the point here. It’s not that e-books’ popularity has been “trending down.” It’s that the amount of popularity they’re gaining has slowed. Their popularity isn’t increasing as fast as it was, but it’s still increasing. More people are still adopting e-books every day, it’s just that not as many more of them are doing so as before. Even if some publishers reported a percentage point or two decrease in e-book revenue last year, that doesn’t necessarily bespeak a downward trend. There’s certainly no sign that there’s a mass movement to give e-books up, which is what would be necessary for their popularity to “trend down” even if no new users were picking them up! But we can let that pass. Whether more or fewer people are adopting e-books is largely beside the point, because if more of them are, most of them are doing it via Amazon, and Barnes & Noble’s best attempts to compete for e-book share with Amazon have obviously not been good enough. (And its weird decisions on matters like changing up its DRM and cutting off downloading and sideloading e-books haven’t helped.) So it’s six of one, half a dozen of the other, and we’ll cede 12 the points that the Nook division’s performance has been rotten so far, and people are still interested enough in paper books to come out to the paper bookstores. It’s interesting to contrast this with Mike Shatzkin’s recent discussion of the problems with Barnes & Noble and the Nook. Shatzkin thinks the biggest problem is that B&N simply hasn’t been using its dot-com and Nook knowledge to benefit the stores the way it could have. For example, it could use its customer database to look up and email customers who’ve bought books by a given author and let them know the author will be doing a signing in their area, and perhaps get some promotional money from the publisher in return for doing that kind of thing. 12 Quarters thinks that, as an ostensibly “rational actor,” B&N owner Len Riggio will not continue to throw bad money after good, especially after he just bought another million shares in the open market. Therefore, 12 Quarters predicts, the Nook division will either find some way to break even or be eliminated altogether within the next couple of years. The rest of 12 Quarters’s arguments don’t have as much to do with e-books. He brings up various opportunities members of B&N’s board have had to be influenced by investors who make copious use of stock buybacks, and thinks that such a buyback could be a recipe for recovery for the bookstore side of B&N’s business if it can deal with the Nook money pit. He notes that such buybacks have rescued companies such as Best Buy, GameStop, and Outerwall that were previously thought to be goners but have since doubled in price. If that seems aggressive, that is fine. The point here is that the margin of safety is HUGE for patient investors. At this point, an investment in BKS is not an investment in a struggling bookstore chain, but rather an investment in human nature. All that needs to happen is that the owner operator wants to maximize his own wealth through buybacks. That is a bet that I make with a smile. Now, sometimes these investment sites’ advice articles aren’t worth the electrons they’re printed on. If I had a nickel for every “short Amazon and sooner or later you’ll be right” article I’ve seen on Seeking Alpha, I would be independently wealthy. And I lack the financial expertise necessary to evaluate 12 Quarters’s contentions with the fullness they deserve. Still, the non-jargonistic sides of his arguments make some sense. It’s going to be interesting to see what they do with the Nook division in years to come. Why Slack could be the future of conferences. A review of Feedburner replacements.